RPS-10 Slinky Nickel Wound .010 - .046 - A patented winding of bronze wire is tightly wrapped around the lock twist of the ball end. String slippage and breakage are minimized at the ball end where these most often occur. 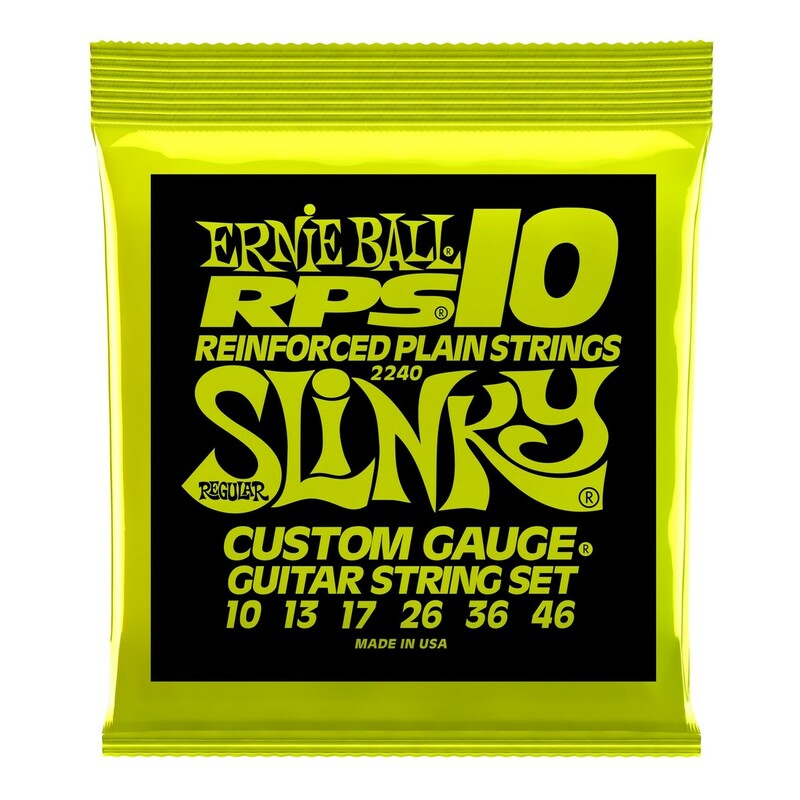 RPS strings last longer and stay in tune better than conventional plain st.
Ernie Ball is the pioneer of Rock and Roll guitar strings. Since setting the industry standard for electric strings, the list of Slinky users has grown massively over the years and their presence can be felt (and heard) on stages and albums the world over.